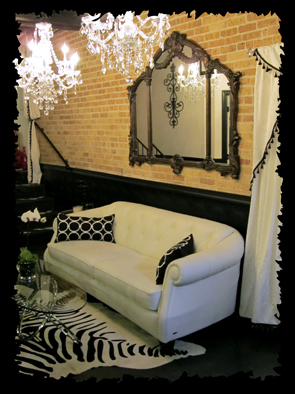 Lash L’Heureux Coterie is a boutique salon, All About Eyes. Although we offer an array of services, our main focus is on eye-enhancing procedures. LASHES AND BROWS, BABY! We feel that beauty is in every little detail and that is why we keep a keen eye to make sure attention to detail is never overlooked. We have done our research and trials to find what we feel are the best products and ingredients out there and are making them available to you. Whether it is our superior lash extensions, our luxurious cosmetics, our botanical-based skin care or the years of learning the tricks of the trade, you deserve the best and we are here to help you discover it. We may get down to some serious beauty business but our main goal is to make you, the client, feel comfortable in our urban chic environment. We want your experience at Lash L’Heureux Coterie to be one that makes you feel beautiful and special, because you are! We are located on Chicago's North Shore. Nearby Lake Forest, Northbrook, Glencoe, Winnetka, and Chicago. Copyright © 2011-2019 Lash L’Heureux Coterie, All Rights Reserved • Designed and Managed by: Robin Ludwig Design Inc.